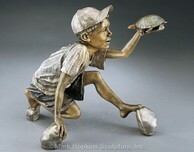 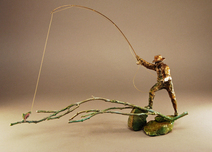 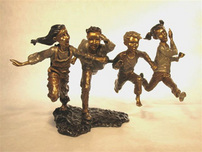 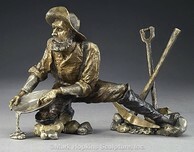 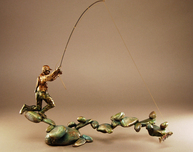 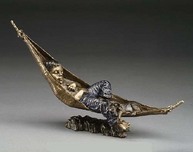 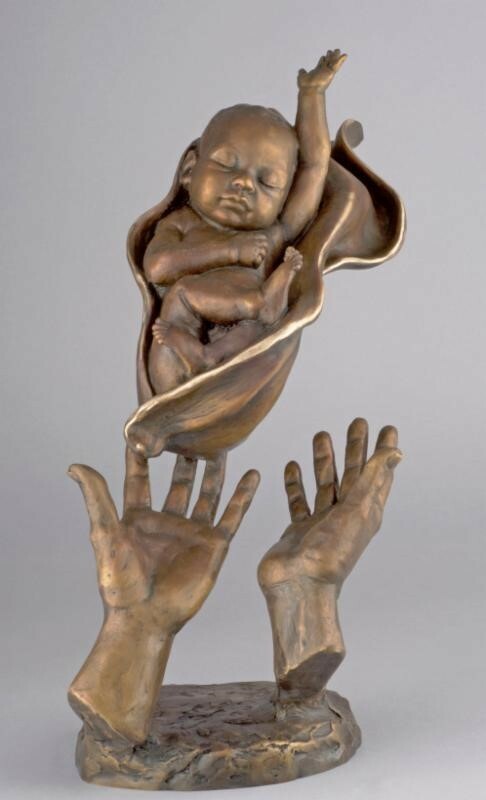 Mark Hopkins bronze sculptures are in every way a reflection of their creator. 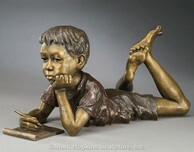 Mark Hopkins subjects are as numerous and varied as his interests, wildlife, history, children, fantasy, sports, music, etc. 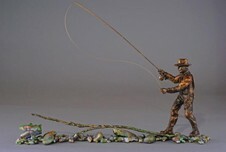 With a style so flowing and alive it has been called "bronze in motion," Mark Hopkins work is as passionate and expressive as the man himself. 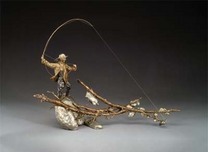 Mark Hopkins is one of the premier bronze sculptors in the U.S. today, Mark Hopkins himself a technical expert in the technique "Lost wax" bronze casting. 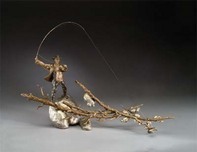 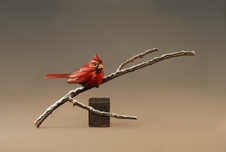 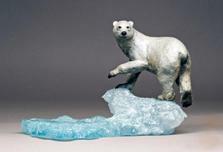 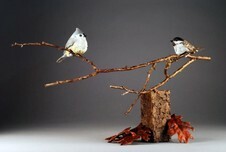 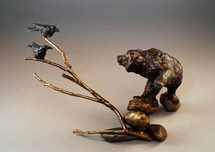 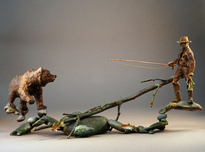 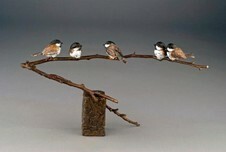 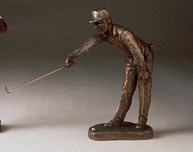 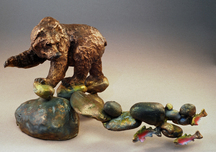 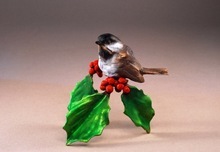 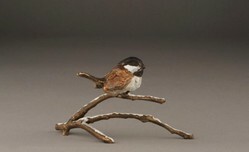 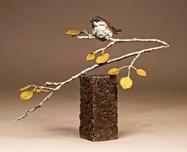 In 1988, he established Mark Hopkins Sculpture, Inc., a bronze foundry nestled in the foothills of the northwest Georgia Mountains, the work created there displayed in homes and public settings around the world. 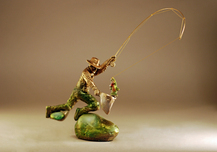 Remember every time you purchase a Mark Hopkins piece over $995 shipping is FREE in the continental U.S. and there is NO SALES TAX outside of Colorado. 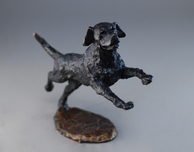 We ship internationally. 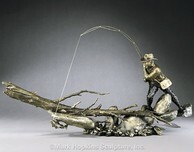 We also offer a layaway program so you can reserve your own Mark Hopkins artwork today!